E-mail written 2006-2008 to Warren Culpepper from Gaye Annette Culpepper McKinley (#54400), e-mail address. Roy C. Culpepper, Son, M, 5/12, Sng, GA/GA/Eng. Fle. G. Culpepper, Son, M, 1 4/12, S, GA/GA/GA. Ernest F. Culpepper, Cert 48974, Collier Co., FL, White, 26 Jul 1922 - 18 Apr 1998. 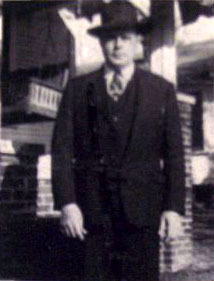 F G. Culpepper Sr., 19 Feb 1962 at 65 years in Fulton Co., GA; Res. in Fulton Co., GA.
Elsie M. Culpepper, d. 28 Apr 1994 at 96 years in Fulton Co., GA; Res. in DeKalb Co., GA, 021736. Martha J. Culpepper, White, d. 6 Aug 1966 at 80 years in Fulton Co., GA; Res. in Fulton Co., GA.
James B. Addington, Father-in-law, 64, Wid, GA/SC/NC. Doris Culpepper, Dau, F, Wh, 8, sng, AL/AL/AL. Mildred S. Wright, compiler, St. Clair County, Alabama Genealogical Notes, Chicago, Illinois: Adams Press, 1974, Repository: LDS Family History Library - Salt Lake City, Call No. US/CAN 976.169 V3w. 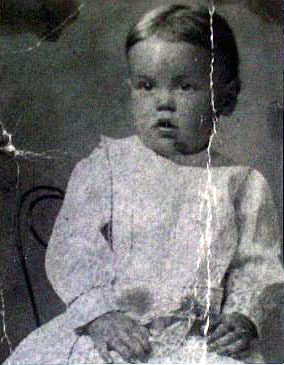 Clifton Payne, 23 Oct 1899 - 8 Aug 1900. Jerry Culpepper and Edna Rogers on 26 Jan 1936 in Walker Co., GA, 11-534. Obituary of Jerry Luther Culpepper (#54105), published 10 Mar 2011. James Ray Culpepper Jr., Male, born __ 1964 in Smith Co., Texas, child of James Ray Culpepper Sr. and Shirley Ann Gober. Jerry L Culpepper, Sr, 66, married Lula M Barbie, 56, on 10 Jan 1981 in Smith Co., TX. Ralph Wayne Culpepper, Male, born __ 1953 in Wood Co., Texas, child of Jerry Lamar Culpepper and Edna Mae Williams. Jimmy Dale Culpepper, Male, born __ 1959 in Smith Co., Texas, child of Jerry Lamar Culpepper and Edna Mae Williams. Obituary* 22 Oct 2005� Mr. Lawson C. "Buddy" Culpepper died October 21, 2005. He grew up on Ivy Street in Atlanta and played football for Marist High School, graduating in 1939. In recent years, he attended the Marist High School Alumni annual Weekends with the "IVY STREET GANG". Buddy was a proud veteran serving in the army for five years during World War II., beginning in the South Pacific Theater in Australia and New Guinea. He soloed after six weeks of pilot training in New Braunsfels, TX, but "D" Day was launched and he was transferred into the 101st Airborne Division as a paratrooper. He spent his final service in the European Theatre in France, Belgium, Austria and Germany. Buddy was a longtime Atlanta area residential building contractor. As a charter member of the Clairmont Hills Baptist Church in the early 50's, he served as a Deacon and General Sunday School Secretary for over 35 years. Friends called him the "Mainstay". He bowled with many friends in leagues in Atlanta for over 50 years. Buddy played scratch golf in his younger days and won the senior division for many consecutive years in the National and Georgia Left-Handed Golfers Association. A Bass Master member, Buddy loved tournaments in the region. His greatest love was his wife of 62 years, Dorothy Williams Culpepper and his four daughters. He was preceded in death by his daughter Joyce Culpepper. 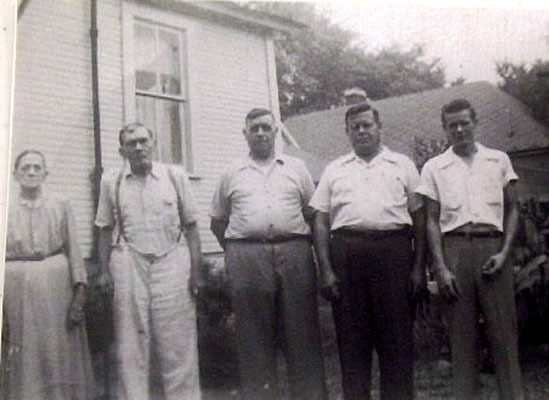 He is survived by his wife, Dorothy Williams Culpepper; daughters, Mary Culpepper Harris of Atlanta, Susan Culpepper Phillips and son-in-law, John Phillips of LaGrange, GA, Grace Culpepper and son-in-law Bill Johnson of Fayetteville, AR; five grandsons, Thomas Lawson Harris, Christopher Scott Harris, John Williams Harris, David Michael Lynd, Daniel Robert Lynd; and six great grandchildren. Grady Moore, Boarder, M, Wh, 37, sng, AL/AL/AL, House Carpenter. Evelyn Culpepper, Dau, F, 10, S, AL/AL/AL. Lawson C. Culpepper, born 1918, White, Native of Alabama; Resided in Alabama; Enlisted on 18 Apr 1941 in Alabama at Fort McClellan in the US Army as a Private; Education: 4 years of high school; Civil Occupation: Automobile Serviceman; Marital Status: Single, without dependents; Height: 66; Weight: 159. Bessie L. Culpepper, d. 20 Jan 1980 at 79 years in Fulton Co., GA; Res. in Fulton Co., GA, 001435. Alvin C. Culpepper, d. 6 Jun 1980 at 81 years in Fulton Co., GA; Res. in Fulton Co., GA, 018605. Dianne S. Herren, Randolph County Alabama Recorded Marriages Book 1: 1896-1900, Woodland, AL: Southern Roots, 1990.
p. 5, No. 40 bondsmen: W. J. Dunseith and J. F.
p. 5, No. 40 at the bride's home by J. D. Elder.